And that Tuesday was the yahrtzeit of one of the greatest rabbis in history, Chaim ben Atar, also known as the Ohr Hachaim. Ben Atar lived during the eighteenth century and was renowned for perhaps the most brilliant commentary on the Bible - one that is studied to this day. He is buried in Har Hazeitim, the Mount of Olives, the famous cemetery in Jerusalem. So, with Rommel poised at Palestine's doorstep and no conceivable protection for the population, thousands of religious Jews turned to the only power they knew. They turned to G-d and fervent prayer - one that seemed to come from their souls. 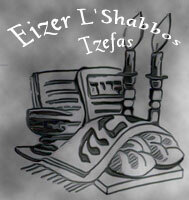 A fast day on the yahrtzeit was declared by the rebbes. Upwards of twenty thousand people went to pray at this man's grave. 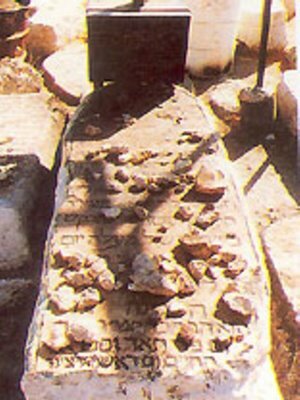 Beryl Ludmir accompanied the Husiatiner Rebbe to the grave, and while the rebbe prayed, Beryl noticed that he seemed to fix his eyes on the words chiseled on the gravestone. 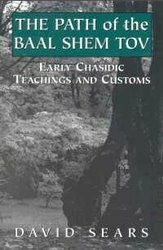 After a long while, the rebbe turned to Beryl and said simply, "It will be good. Make the wedding." No one understood why the rebbe said this. But afterwards Beryl went directly to the hotel and signed the contract for the celebration. Much later, Rabbi Besser went to the grave to try to figure out how the rebbe came to this conclusion. "I saw nothing special," the rabbi recalls. But the rebbe told Beryl that he had seen the Hebrew name of G-d written in gold letters, floating in the air, above the gravestone. And he saw it written in the correct way - with all four letters in a row. "For him, this was the sign." The yahrtzeit in 1942 began an amazing confluence of events that would change more than just Haskel and Liba's lives. The rebbe had not based his decision solely on what he saw over the grave. He had seen something else. While studying the week's Torah parsha, the rebbe interpreted a commentary written hundreds of years before that he claimed (correctly, it turns out) freed the Jews from their death sentence. The commentary was written by the Ohr Hachaim in the eighteenth century on the Torah parsha, Numbers 24:17. He interpreted the following story: In the Bible Jacob is called by two names, Jacob and Israel. When he is referred to as Jacob, things don't work very well for the people of Israel. But after he wrestles the angel and he becomes known by the new name, Israel, the nation prospers. In the commentary, it says that if he is called Jacob, he will be killed by Rommel. The name Rommel was actually spelled out in Hebrew - almost two hundred years before the war. The commentary goes on to say that if Jacob is called Israel, Rommel will not destroy him and the nation will prevail. It is more probable that the reference is to Romulus, one of the founders of Rome. But seeing the name Rommel spelled out phonetically, along with the lettering over the grave, was enough a sign for the rebbe to declare that the Jews of Palestine would not be harmed. At that moment, Field Marshal Erwin Rommel had advanced to the point that there were practically no British defenses in front of him. Had he continued, there would be nothing to stop him from capturing Palestine and then possibly Syria, Iraq, and Iran. With the capture of Iran, the entire underbelly of the Soviet Union would have been open to attack and the Russians would have had to divert troops to protect the border. But that week, a huge sandstorm blew up out of the desert. It was impossible to go forward in those conditions. Rommel planned a tactical redeployment to a point where his tanks would be protected by hills. But Hitler had given his commanders strict orders that no German soldier could retreat without his personal approval. Rommel sent Hitler a cable explaining his situation. Hitler cabled back saying absolutely not, no retreat. Rommel sent another telegram trying to explain that this was not retreat, it was only a temporary redeployment because of conditions. But Hitler would not okay it. Angry and frustrated, Rommel actually got on an airplane and flew back to Germany to see Hitler and explain the situation in person. Of course, it was not an easy trip. Rommel had to fly first to Tripoli, then to Sicily, and then on to Germany. The trip took close to twenty-four hours. When Hitler finally saw Rommel, he asked why he had come. Again Rommel explained his request for the redeployment of his troops. One more time, Hitler, now agitated, said there would be no retreats. One more time Rommel tried to make his point that this was not a retreat but a redeployment to service the tanks and give them new tracks, which were badly needed. Finally Hitler understood and he gave Rommel the green light. But the trip wasted three days and proved to be the undoing of the Germans' African campaign. When the Germans were ready for their next attack, they lost that month's full moon (attacks in the desert were made at night). So Rommel was forced to wait for the next full moon. The following month the weather did not cooperate. July is normally clear, but that year it rained and the skies were cloudy. So the attack was put off for another month. By this time, Churchill had placed a new commander in charge, Montgomery. It was Montgomery who stopped Rommel and his Afrika Korps in its tracks. The Germans never came any closer to Palestine. After the war, Field Marshal Keitel, the commander of the German Army, wrote that June 30, 1942, was the moment that Germany reached its zenith. After that point it was all downhill. From that day forward, the Germans continuously gave up ground until Berlin was conquered and the Third Reich lay in ruins. June 30, 1942, was the same day that Beryl Ludmir stood with the Husiatiner Rebbe when he saw the name of G-d over the Ohr Hachaim's headstone. 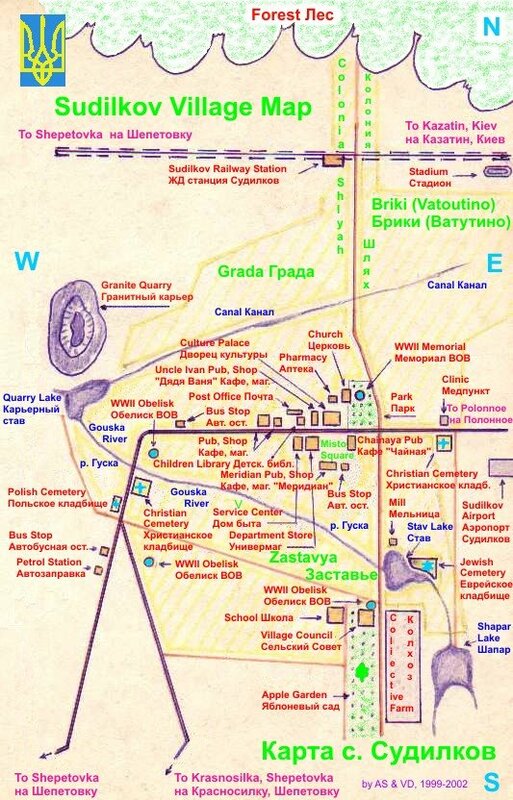 The Jewish population settled down, life slowly went back to normal, and the Besser and Ludmir families planned their celebration. I've heard the famous "Circle of Blood" story, but not this one. Yaak: I am afraid to say that I am not sure that I have heard the "Circle of Blood" story. Could you tell me more? I also found it in Hebrew here. Unfortunately, I couldn't find the actual Jerusalem Post article though. Thanks for sending the link, Yaak. nice story but your facts on ww2 do not correspond to the conventional history of the first battle of el alamein. the first battle took place between july 1 and july 27 of 42. there was a brief sandstorm but rommel waited it out and then attacked immediately he did not go to see Hitler machshmo until after the second battle when hitler refused to retreat. this does not in any way diminish the yad hashem. the story reminds of the george washington and the channuka menorah that he saw at valley forge that gave him the insiparation to continue the war of independence. nice story but highly doubtful if it ever happened. i am not contesting any thing about the ohr hakadosh or what happened in jerusalem just lets be a little more precise on the historical accuracy of major battle of history which can be easily verified through a little research. There is a commentary by the Ohr HaChaim on Numbers 24:17. Please check it out.